Luxurious Luulu Gold Collection is an offer for the most demanding customers. Luulu Gold provides the most sophisticated interiors of elegance and prestige with grace, charm and color. A unique character of Luulu Gold Collection is caused not only by the fact that it is gold-plated with 24k gold, but also by the way how it was produced. The small bed was made manually thanks to the knowing and experience of many master of craftsmanship handicraft generations. A refined form, quality of the applied materials and perfect finish make Luulu Gold small bed an exclusive and wonderful thing which will add glamour to your home and the baby will be surrounded by a palace tinsel and luxury it deserves. 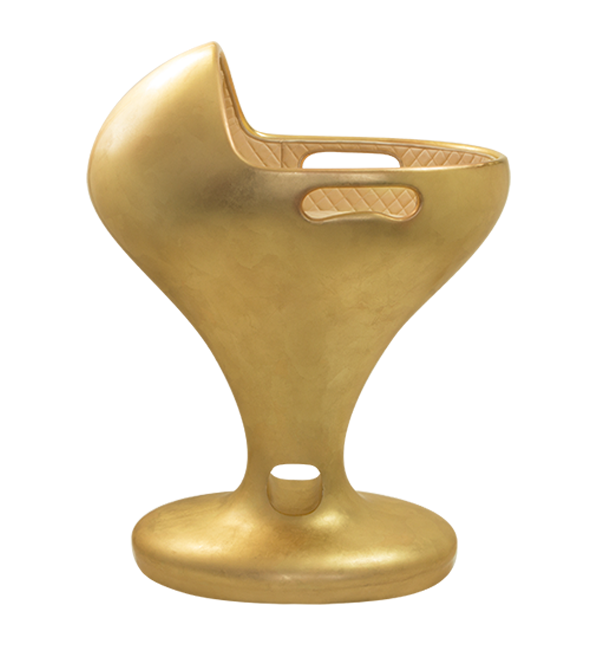 Luulu Gold Collection is a prestigious decorative element of every space, from the living room to the children’s room. Thanks to Luulu your small sweetie feels safe and falls asleep easily, whereas you get a pretty and useful decoration for your home. It may always be close to you. Should you like to be surrounded by luxury, Luulu Gold small bed will certainly meet your expectations.